In 2017, written premiums in Colombia rose by 5.5% in real terms and 8% y/y in nominal terms, despite a backdrop of slow economic activity. In comparison, globally the value of written premiums grew by just 1.5% in real terms in 2017, according to a report by the Switzerland-based insurer Swiss Re. During the 2008-2017 period, the insurance sector in Colombia grew faster than its GDP, driving up penetration rates. Despite this positive performance, insurance penetration lags behind that of developed countries and regional leaders such as Brazil and Chile. This, coupled with government efforts to improve the country’s solvency framework, offers lucrative opportunities for domestic and foreign investors. This report provides a complete and detailed analysis of the insurance sector for Colombia. EMIS Insights presents in-depth business intelligence in a standard format across countries and regions, providing a balanced mix between analysis and data. 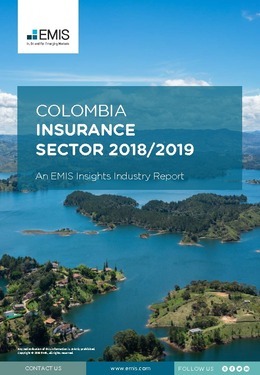 View key data on insurance premiums and claims in Colombia.